View of the Panama Canal (Miraflores). 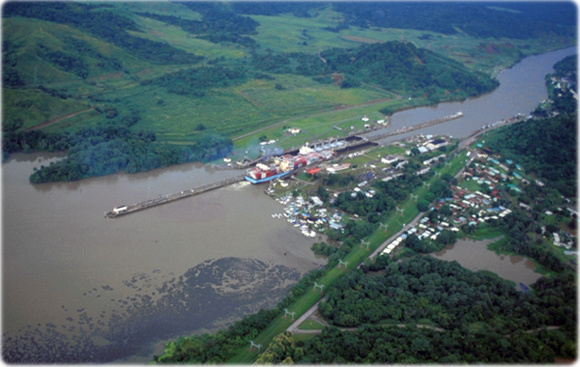 The Canal is 82 km long and runs from the city of Colon to Panama City. 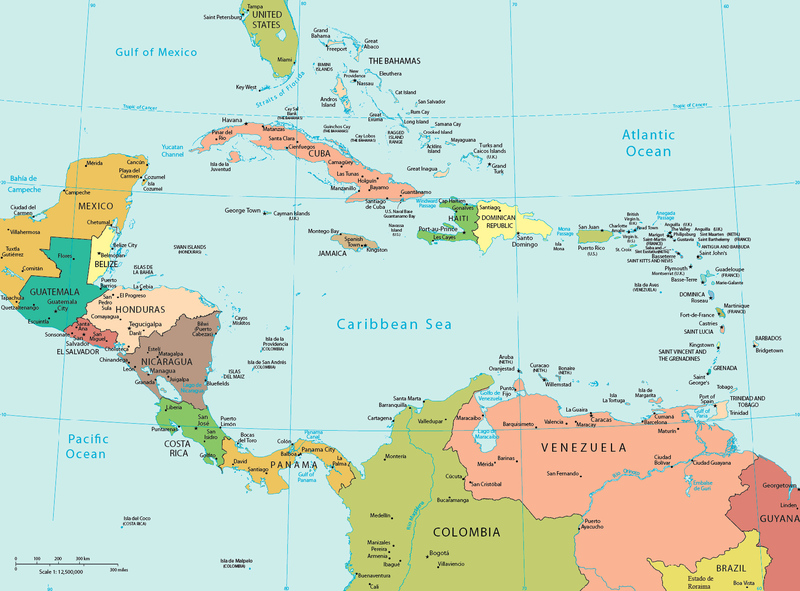 Trinidad and Tobago islands, Curaçao Willemstad, Isla La Tortuga and La Guaira, Venezuela. Keywords: Guadeloupe, Grenada, Cayman Island and Curaçao.